→Where to Put Compost Bin? Where to Put Compost Bin? Once you have selected a compost bin that best suits your needs, you will have to set up a compost area. There are two essential considerations to take into account: room to maneuver and ease of access. When deciding where to put the compost bin, make sure to choose a location that is easily accessible so that you will be able to comfortably get to it. Also, make sure there's ample space for your compost bin(s), as well as stockpiled materials, tools, wheelbarrow, and so on. Below, you can find a lot of useful tips for determining your compost area. That will help you choose the ideal locations for your compost bins. How Much Room Does Your Compost Bin Need? For people using the bins (or other containers) to turn their kitchen and/or garden waste into compost, it is critical to have plenty of space. It should be at least twice the size of the compost bin. That lets them turn and rebuild their compost bin near the place it was sitting earlier. Turing the bin doesn't only increase airflow but also causes the materials to break down much faster. This isn't really necessary when it comes to more passive bins. Nevertheless, it is desirable to have enough space around a compost bin, as that allows access from different angles. This is definitely one of the main concerns most gardeners have. You surely don't want to place the compost bin(s) up against your house or directly under the window. That would attract lots of pests and quickly fill your house with an unpleasant smell. If your pile starts smelling and you get some unwanted visitors (pests and insects), consider putting it away from your home. The distance between your house and compost bin will mainly depend on ease of use and hose length. If you do not want to hoof it across your backyard so as to dump out the stinky kitchen scraps, then avoid putting your bins all around. Constant moisture supports the process of composting. That said, it makes sense to place your compost bin in the shade. This is especially recommended for a worm bin. In dry weather, a shady spot will let your compost douse with water. If you use a plastic bin, this will also prevent the build-up of excessive heat. Partial shade is an optimal solution. Full shade, on the other hand, will excessively cool your bin. Also, your compost will be cool too early in fall and spring. Keep in mind that worms won't fare well if the temperature is too high. The same goes during a rainstorm when they face a deluge of water. Place the compost in the shade to keep those beneficial worms safe from the elements. By the way, your compost pile will not dry out. When it comes to regular compost bins, direct sunlight is not so harmful, so your compost will not heat up too much. In fact, it heats up due to the microbes inside the compost that work around the clock. By keeping a compost bin in a shady spot, the water evaporation will be significantly decreased. As you may already know, air circulation around compost is necessary for decomposition. So make sure there is enough air circulation around your compost bin. Most commercial bins come with air vents. Yet, they will be worthless if your bin is blocked by a dense fence or vegetation. Some homemade compost bins provide too much aeration. That's why they are not able to retain heat over time. Bare ground allows for drainage of leachate, a liquid by-product obtained from compost. This "compost tea" is very rich in nutrients and critters (especially worms) in the soil love it so much. By placing your compost bin on the dirt, you'll enable beneficial worms and insects to easily find their way into the bin. Those insects accelerate the process of decomposition. It is advisable to put wire mesh or hardware cloth under the compost bin. That's because some animals are inclined to dig underneath as well as into the bin. Only place your compost bin on a deck or cement if it has a sealed bottom. This is required by law in some cities. Make sure decomposing debris is not in contact with structures that are prone to rot. Wood is very susceptible to rot. With this in mind, avoid placing your compost system against wooden structures like a wooden garage siding or fence. Believe it or not, the roots of vines and trees will be stealing nutrients from your compost as moisture and leachate drain out the bottom. To avoid this, place your bin away from large woody plants with the strong, developed root system. That will also prevent tree roots from migrating up into your compost bin. Lastly, we'd like to recommend some locations you may consider choosing for your compost bin. Garden – Your garden is a convenient place for a compost bin because this is where you make organic material from flower beds and vegetable. 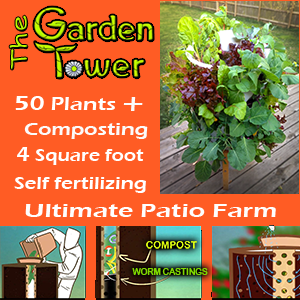 It lets you access the finished compost and dispose of materials. That means you will disseminate among planting beds with ease. Make sure there's a water source in your garden. Deck – If you opt for this place, be sure to lay down a tarp before emptying the contents. Also, consider placing a pan underneath to collect moisture. Near a Wall or Fence – That will give both aesthetic appeal and privacy to your compost area. Furthermore, such surfaces reflect heat, thereby heating up the compost bin. Near a Back Door – It is a good idea to access a compost area from the back door. Ideally, place your bin somewhere between the back door and garden area. The composting station must be carefully planned, as it is supposed to be a happy medium between the garden/backyard and house. By planning it carefully from the beginning, you will reduce the likelihood of getting into trouble later. 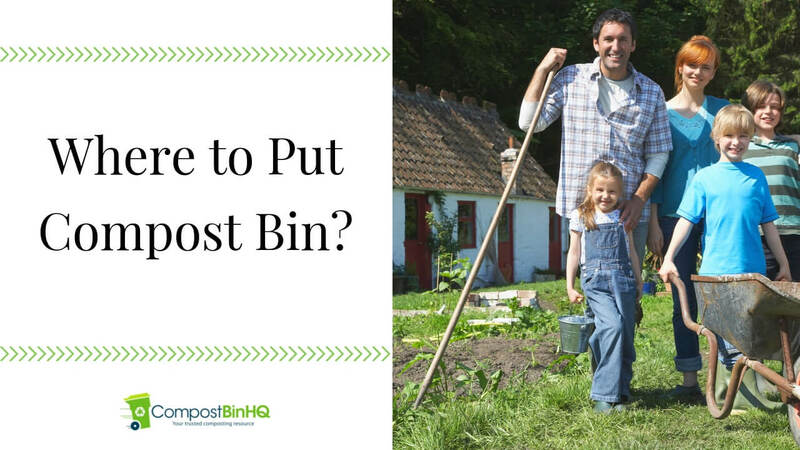 Hopefully, these tips gave you a better idea of where to put compost bin. CompostBinHQ.com is a participant in the Amazon Services LLC Associates Program, an affiliate advertising program designed to provide a means for sites to earn advertising fees by advertising and linking to Amazon.com.